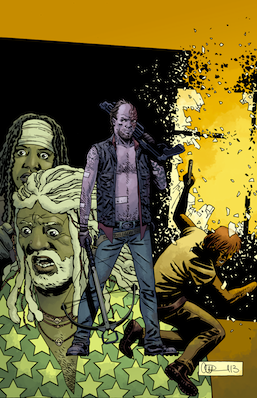 Robert Kirkman is almost halfway through his “All Out War” arc and things are getting serious. Not only has Rick used zombies as a weapon against other humans (remember: ultimately people are the monsters because aren’t we always?) in order to keep the Saviors distracted, but in this issue Negan decides to return the favor. It’s horrible. So, so horrible that we need to talk about it, but I can’t without spoiling everything. It’s even more terrible because as Charlie Adlard is keen to show us, these zombies are disgustingly smelly and there’s no way the new world isn’t covered in flies. Ugh. I’m not even prepared for issue #120, I don’t know how I can be. Unfortunately, the first 2/3 of this issue is lacking because it deals with the typical Robert Kirkman problem of telling and not showing, which has earned it the name Too Much Talking Dead. (Side note: This should be the name of your show Chris Hardwick!) Because, you know, in the real world everyone talks about all their super deep personal problems and how in pain they are. I get it, it’s the apocalypse, you’re sad, but are you gonna cry about it to anyone who will listen? Thankfully, the next issue should be all action and barely any talking. Although I wouldn’t mind a running dialogue from Negan. AKA: the best. Also, the worst. 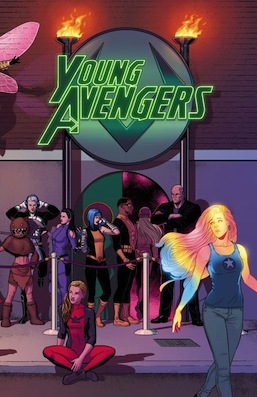 The Young Avengers have defeated the villainous Mother and are spending the transition from 2013 into 2014 by partying the night away and making out with one another. Like you do. And it’s so fun and wonderful and ends with such a marvelous last panel that it makes it even harder to say goodbye. Young Avengers, why do you have to go when parting is such sweet sorrow? 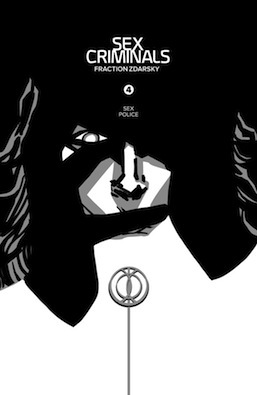 To send the series off, Kieron Gillen gives us such notable quotables as, “Is this safe? Are you drinking and kicking holes in dimensions?,” hashtags that spell out lyrics from The Sound of Music, a joke that this series has just been a teen movie (spoilers: it’s all the teen movies) and a yamblr user with the screen name: GottaPayTheTrollToll. I died of happiness. However, the breakout star in this issue would have to be teen Loki, who pays his debt to the other Avengers for betraying them (in leather pants no less) before offering to make out with a dude and walking into the sunset. Although not before spouting the line, “I can’t avoid being Loki … I’m a story. I just have to be the best story I can be.” Loki, you broke my heart dude. Even more heart-wrenching? The series ends with an Instagram photo of adorable. Don’t cry too much though, Loki will return in Loki: Agent of Asgard (coming in February) so thank goodness for small favors. I cannot wait! SPOILERS IF YOU HAVE YET TO READ THE CINDERELLA-CENTRIC SPIN-OFF SERIES CINDERELLA: FROM FABLETOWN WITH LOVE! Dear Fairest, thank you for finally finding your groove. Or rather, thank you Cindy for giving this spin-off the female-infused kick it needed to make it a worthwhile read. It’s just sad it had to happen so late into the series. In this issue, Cinderella returns to Ultima Thule to find and visit her Fairy Godmother (whom she affectionately calls FG), a location you may recall from her spin-off series. Food for thought, in the medieval sense the words “Ultima Thule” on a map were meant to denote the area beyond the borders of the known world. The more you know! In line with a return to Cinderella’s past are some shadowy figures (who will be revealed in the very last panel and may have you gasping in surprise) as well as flashbacks to those mice that FG had turned into men on the night of that fated ball. You know, the one where a glass slipper was misplaced. 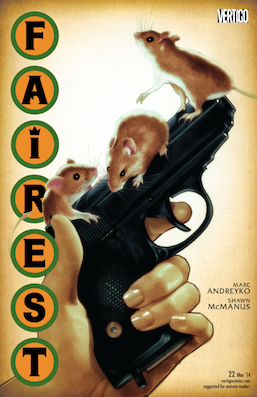 Hence the arc’s title “Of Men and Mice.” Thankfully for the readers, when mice become men there are so many shenanigans, as well as mouse introspection such as, “Are you a man or a mouse?” Which is almost as funny as a fairy tale creature wandering to Amsterdam and revealing all their secrets after being tempted with weed by some very high locals. Fairest, why couldn’t you have been this good the whole time?